Parents in New Orleans and across Louisiana fought and found an education champion in Representative Gary Carter. In November of 2017, OVNV parents launched their #30NolaEdWatch campaign to increase accountability and improve the 30 D and F schools in New Orleans. Accross the state, more than 115,000 students attend “persistently struggling schools” as defined by the Louisiana Department of Education (LDOE). 17 schools in New Orleans are labeled as such. 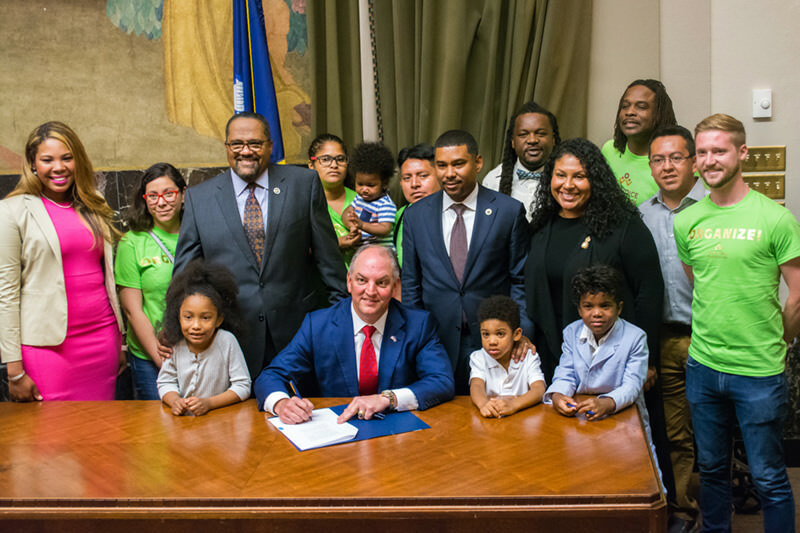 On May 31, 2018, in a huge win for Our Voice Nuestra Voz members and parents across the state, Governor Edwards signed Rep. Carter’s bill, HB509, into law. The law requires school boards to make presentations at public meetings about the plans to improve schools in need of academic improvement. These meetings must be held at the affected school. Requiring these public meetings is a leap forward for transparency and parent involvement in our school system. It is critical that parents are notified by their school regarding its poor performance so that parents can be partners in improving it. 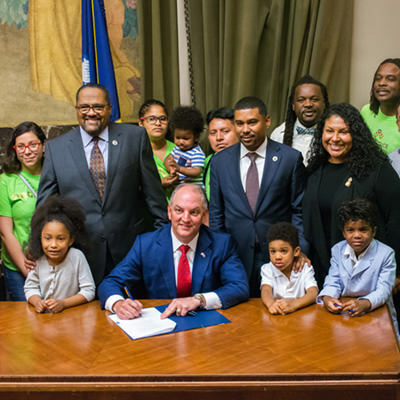 This is a MASSIVE win for the parents of Louisiana and our members! We thank Representative Carter and Governor Edwards for being champions for parent involvement, transparency, and ensuring school accountability! CONGRATULATIONS PARENTS OF LOUISIANA! A total of 30 out of 72 (41%) of schools received a grade of “D” or “F” according to the recently released 2017 SPS ratings. Many of them have received D’s or F’s for multiple years. These 30 schools impact the 15,354 children who attend them every day and disrupt their futures as successful citizens in our community. Our community need to be more informed about these schools’ scores, and CMOs need to be held accountable for their unacceptable performance. What Does a D or F School Look Like? William J. Fisher is an F for the 3rd year in a row. Only 10% of children at Fisher scored a level of *mastery in reading in state testing. 90% scored below the expected level of performance for their grade. *MASTERY- The expected standard of performance for a child’s age.